Remember when Nintendo used to make everything, from the N64 to the Game Boy Advance, in a clear case? They don’t really do it anymore, but you can pretend they do with these replacement Nintendo Switch cases. They’ve started turning up on retailers like Aliexpress (via Go Nintendo), and look pretty damn great. 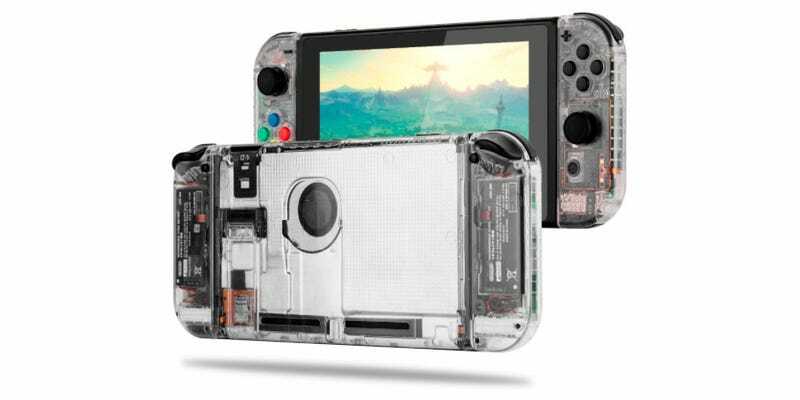 They’re not for everyone, though: you’ll obviously need to unscrew your Switch’s existing case and expose the console to the elements before putting this new one on there, and while that isn’t the hardest thing in the world to do, it’s not for everyone.